← Create your own path. Because when every single cell of your body, every piece of hair rising up on your skin, is telling you to do something. You should always listen and follow it. Less than two months ago, I was driving home, contemplating on where I stand in this part of my life when all of a sudden it hit me. As if the universe just shook me up and said “Hey! Do this! You need to do this now. This is what you are meant to do.” All of a sudden, I lit up. I started crying tears of bliss because I was so overwhelmed by this inner gravity within me telling me that I need to make this happen. And what is it that I’m talking about? At the end of June, I’m setting out on a quest. I will backpack by myself all throughout Indonesia, Thailand, Laos, Cambodia, Burma, Cambodia, Malaysia, Philippines, India & Nepal. 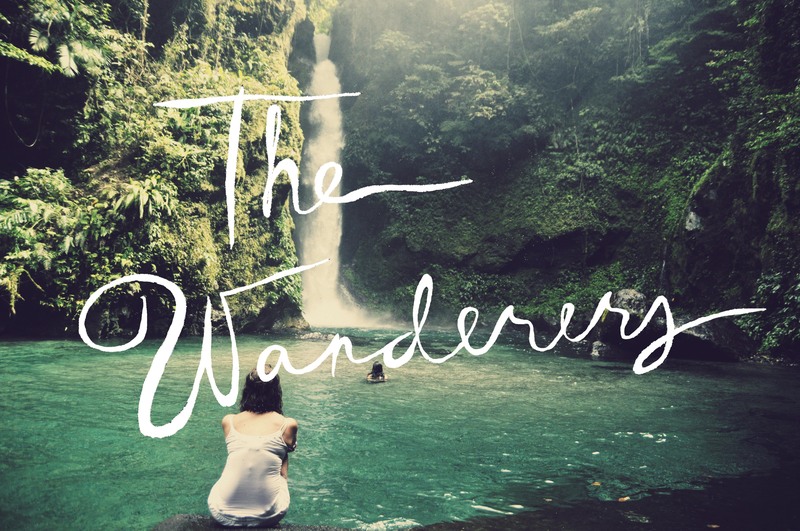 I will find The Wanderers. This could be anyone from backpackers, to gypsies, to homeless nomads, to vagabonding families, to the holy men of India, to Bajau the sea gypsies of the Philippines, the the Moken nomads of Thailand who were displaced by the 2004 tsunami, to the wandering Hindu monks of Nepal. I will immerse myself into their lives, connect with them, photograph them, capture the essence of their beings, the essence of their lives. I will capture the human experience, tell their stories and turn into into a book. This book can change the world in its own way. I truly feel that with all their photographs and stories, this book has the power to inspire the wanderer that resides in all of us. It will help give people the courage to get out of their comfort zones and live their dreams of traveling the world. We all know that traveling opens ourselves up to the world, it humbles us and opens our hearts to let in and let out more love and compassion for others. Through traveling, we discover who we’re meant to be, what we’re meant to do, travel has created revelations and epiphanies that changed the world from Che Guevara traveling in a motorbike all over South America to Charles Darwin in the Galapagos Islands. Imagine if people all over the world choose to leave their unfulfilling lives to do what makes them happy. To travel the world and do what they love. Imagine the many lives that will be transformed, the adventures that will be lived, and dreams that will be realized. Everyone has an incredible story to tell, it just needs a little light. finally!!! hope to see ya! Just posted about this project on my blog to support you! I hope it takes off! Fantastic! Look forward to your travels and stories… sharing this on my blog. A wanderer sets off to capture the tales of other wanderers. Awesome idea! Best of luck. Amazing idea, I shared it on Facebook so hopefully some of my wanderlusting connections will share too! This is an absolutely wonderful project, and I hope if it goes well (which it will!) Latin America might be your next spot. If so, I’d love to collab with some expat advice for places to check out! Pingback: Get Inspired: Blog Ideas for 2014 | AppsZoom - Download Free Android Apps! Wow that’s amazing and so good……..
First and foremost, 100% recyclable egg shell paper — means the whole world to me. Second, the universe is doing a great job of inspiring you. The dominoes are falling on each other, one after another. Third, I don’t have very much left to pledge for the project but what I can do though is spread the word and hope that maybe even one soul can be touched by this project as much as it did to me. Forever inspire, people, little dandelion. Hey, saw that your project didn’t reach it’s target, I hope that it does. Best of luck. You’re an inspiration! Go girl go! Does anyone know when Michael Libow next concert is? tthe inner and outer thighs. Legendary investor Warren Buffett follows a simple rule, which is the largest financial crisis that we suffered in 75 years.